I have a confession to make. I am terrible at growing zucchini. Zukes are the “kindergarten” of gardening. Aspiring gardeners start with that and work their way toward more challenging vegetables. Zucchini are supposed to be the plant that makes a person feel like they accomplished something. Like they are a REAL gardener. This year has been pretty normal. Things looked good at first and then powdery mildew, vine borers and zucchini season ended early. I had enough for what we needed, but I did not have any to give away. I actually would have tried a couple of new recipes this year if I had a few more. Me: “I don’t know. Last time, it went pretty fast. I will take more if you have extra. Friend: Laughs and speeds away before I can change my mind and give back the zukes. Me: Ashamedly look around hoping no one saw the transaction and figured out I did not grow my own zuchhini…. So, how about it readers? 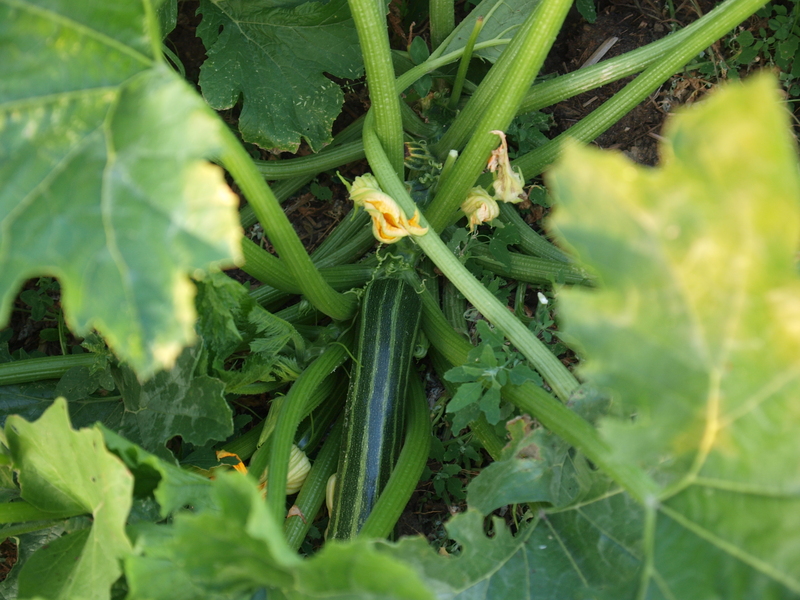 How much better are you at growing zucchini than I am? Is there something you wish you could grow better? I had trouble with Zucchini this year too. Not sure why, but I developed stem borers like no other. I finally got them under control though. When googling the problem, I found that if you “skewer” them just above where the damage is, you kill them. I tried it and it worked. Wish I would have known that before I pulled the other plant that had developed them. From what I understand there’s no real way to kill them otherwise, but in order to prevent them, you can bury the stem in the soil (though I haven’t tried it – I plan to next year). As for the powdery mildew, I have no advice. I am quite certain that’s what is now on my spaghetti squash now, but it didn’t seem to affect it earlier. I think that probably has a lot to do with the amount of rain we got in June (at least that’s what I’m suggesting you use for your excuse).